We strongly believe that a child’s attitude towards learning is shaped during its early, pre-school years. This isn’t just our opinion, of course, but has been supported by research. A recent study was able to quantify the crucial importance of early years education in future learning and achievement. We empower children to become confident learners by building on every child’s individual strengths through the delivery of personalized learning. One of the goals of doing this is to enable children to embrace the transition to structured learning in their school careers. Another is to instill in them a lifelong interest in learning and the acquisition of new skills. So we don’t just aim to make children learn. Instead, we teach them how to learn. But how do our basic principles translate into everyday practice and drive tangible outcomes? Individualized Provision: Each child has a unique blend of skills, strengths and needs, and follows its own developmental curve. To ensure that we deliver effective teaching we build on a child’s individual interests and natural inquisitiveness. Every school term we develop a new individual learning plan for each child. Positive Relationships: There are three key groups of people around each child – parents, peers, and teachers. We work closely with parents to get to know the children better and to communicate our approach. Children are encouraged to work as part of a group and support each other. Our teachers hold transitional meetings and workshops for parents, where assessments and learning plans are shared to ensure consistency between school and home. Enabling Environments: Children learn by exploring and investigating their environments. For this simple reason the environment can be turned into a crucial learning tool. We provide a multi-faceted environment, both indoors and outdoors, with well-defined areas and resources. Our teachers plan these learning areas on the basis of detailed assessments and what children enjoy the most. 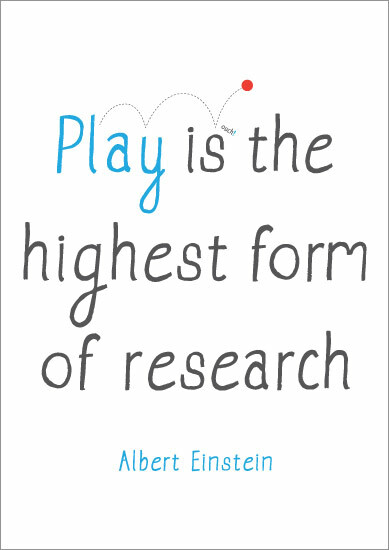 Learning and Development: Children also learn through active play, which challenges their young minds and provides them with opportunities to problem-solve. Our teachers employ a variety of strategies to ensure that every child is constantly challenged against his or her individual learning plan and is acquiring new skills. This is a cyclical process of observing, assessing and re-adjusting the plan to suit the development of the child against the seven areas of learning. These are the four principles of the Early Years Foundation Stage (EYFS) framework, which sets the standards for early education. As a framework, it allows schools to address these principles using a variety of approaches. Some of the most widely-established approaches include Montessori Schools, Reggio Emilia, Highscope, and Forest Schools. Each of these approaches has its own teaching principles and may follow quite distinct practices, but they all support the areas of learning identified by the EYFS framework. Alphablocks Nursery School & Pre-Prep, Hadley Wood, follows a hybrid approach, which makes careful selection of different elements taken from across this spectrum of well-established teaching methodologies. In this way we incorporate the best teaching practices from each approach under the EYFS framework’s umbrella in order to deliver the best possible learning outcomes for every child. Alphablocks Nursery School • This entry was posted in Early Years Education, Early Years Foundation Stage, Montessori, Pre-School Learning, Reggio Emilia and tagged child development, Cockfosters Nursery School, early learning, Forest School, Hadley Wood Pre-Prep, Highscope, Montessori School, nursery school, Potters Bar Nursery School, pre-school education, Reggio Emilia, Totteridge Montessori Nursery School. Bookmark the permalink.